True or false. The Western Garter Snake is the most widely distributed snake in Canada. False. 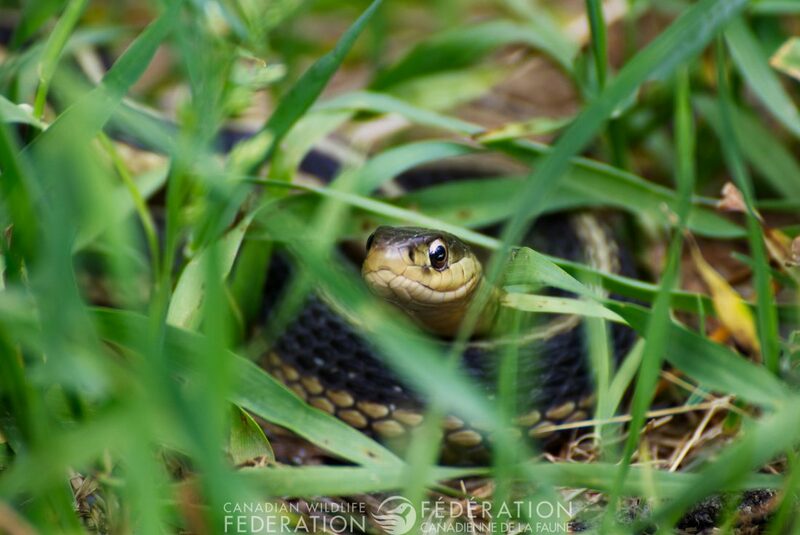 The Common Garter Snake is actually the most widely distributed snake here in Canada. But the Western Garter Snake can be found far and wide from southern British Columbia and Alberta east to southwestern Saskatchewan. Pretty impressive! Correct answer: C. Right Whales chow down on zooplankton or tiny animals that look like shrimp. And they eat a lot of it – up to 1,100 kilograms in one day! They get that much grub in by opening up their mouths wide and swimming through the water, catching their prey as they go. With that much food, it’s no wonder that they’re really large animals – weighing in at 63,500 kilograms and as long as 16 metres. Please select an answer before clicking the button.